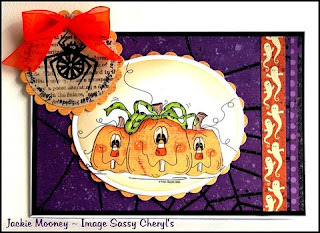 Sassy Cheryl's Digi Stamps Challenge Blog: Challenge |#139...Nothing Square About This! Challenge |#139...Nothing Square About This! **Hate to put this at the top, but some people just don't read the entire post. 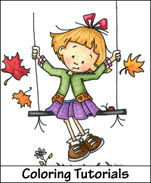 Happy Tuesday, can you believe it's almost NOVEMBER!! ! Are you warm and cozy? It's getting BRRRRR here, snowflakes in the air! Perfect weather to stay indoors and play with Sassy images!! 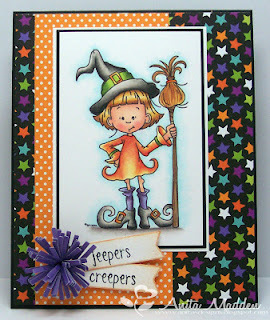 We had lots of fun "Trick or Treat" cards last week, hope you're ready for a new challenge this week!! Before we get to that, let's see who wins TWO FREE IMAGES from last week's challenge!! 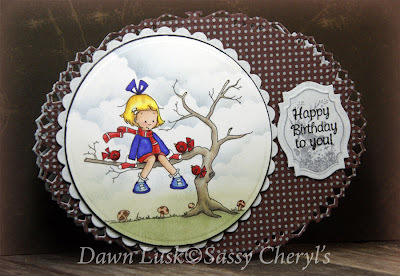 with this GORGEOUS card, using a Sassy Cheryl's image!!! Anita, just email Sassy Cheryl so she can get your account credited. Yep, that's right, . . . .. It's all about circles and/or ovals! Pick your poison, grab your image and join in the fun. Here's what the very Sassy Design Team came up with this week. challenge! You know you can't resist! And as always, you don't have to use a Sassy Cheryl's Digi image, but we certainly would love if you did! And remember, this is the FINAL week that you'll be able to enter NOT using a Sassy Cheryl's Image. 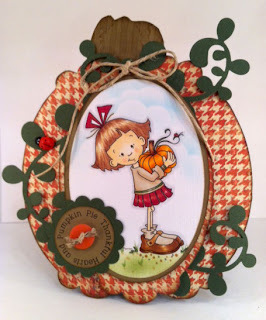 You'll have until 5 PM EST, November 5th to link up your card or blog to be entered in the random drawing for the TWO FREE IMAGES! Why would you not play along? Hi ladies, since you want us to use a Sassy Cheryl's image, you should probably change the message on your side bar which says that you can use any image, but if you use yours, you are entered twice. I guess I should head over to the store for images. Thanks for the reminder Joynana. All done. 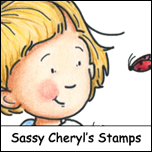 Thank You - I can't wait to see all the Sassy Cheryl image challenge entries! (Did I say that right?) well you know!! CONGRATULATIONS Anita! What a fabulous card. I have credited your account this morning and you should be all set to do some shopping. Ladies.. . .FABULOUS cards. GOrgeous, gorgeoud, gorgeous! Congratulations Anita. That is a beautiful card. DT, as usual, your cards are each distinctly different, but always spectacular. Love that you're going back to using SC images only. I have always felt like if you were going to participate in an artist challenge for a free image, the least you could do is use their image. Well-said Shirley - I agree 100% re using artist images in their challenge. 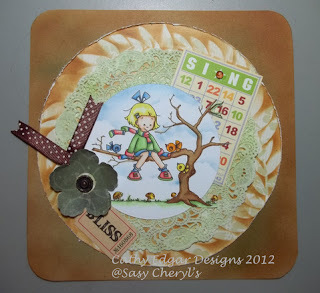 Love the DT cards - looks like I'm going to have to get Sassy Sally's Winter Morning Social!! I love seeing all the entries each week. There are some incredibly talented crafters out there. BUT the key word here is ARTIST'S BLOG. 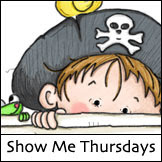 This blog was created by one artist who creates the characters, funds the blog and gives away her work for free. I totally agree with Shirley and Charlene. 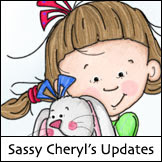 Sassy Cheryl Challenge Blog should be limited to Sassy Cheryl images. So glad it is returning to it's roots. Good decision Sassy Team. Congratulations Anita. Well deserved win. Sassy girls you have done it again with those dynamite creations. Linda~ You said it exactly! Great DT samples, ladies! I'm so glad that I got a chance to play along this week. Fun challenge! Challenge #138 It's Trick or Treat Time! Challenge #135 Let’s Think About Fall!